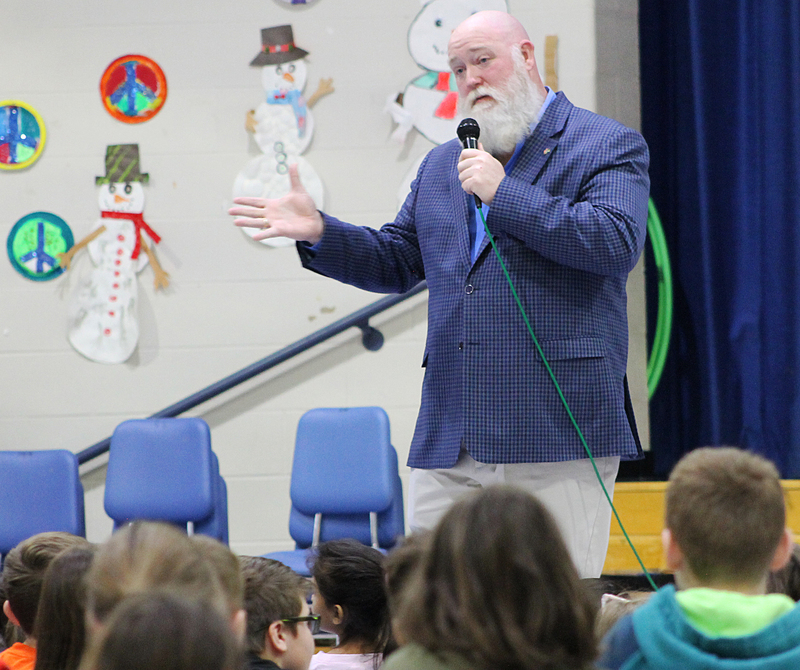 NEW MILFORD – During a special assembly on Friday morning, the third grade class at Sarah Noble Intermediate School learned the process of how a bill becomes a state law when State Representative Billy Buckbee (R-New Milford) met with them. He was invited to the school to speak with the students and presented a slideshow about the legislative process before opening up the floor for questions. “This is what being a representative is about! It’s critical that people get engaged with politics at an early age. The point of today’s assembly was to show how the process works and also to stress why it is so important to understand it. Our democracy is contingent on consistent public engagement, it’s vital that they know I am here for them just as much as their parents and grandparents,” explained Rep. Buckbee. According to Rep. Buckbee, there are thousands of different ideas that are proposed to become laws every year. Of those proposals, a couple hundred will make it through the committee process to the House Floor for a vote, but an even fewer amount will go through both legislative chambers and reach the governor’s desk. After the presentation, Rep. Buckbee answered questions from the students, which ranged from the role of the governor’s veto-power to why Rep. Buckbee got involved with politics. “I want to thank the faculty and staff at Sarah Noble Intermediate School for having me present to the whole third grade class. I look forward to hearing from them soon and hope to make another visit soon!” concluded Rep. Buckbee.